Born in Austin, Texas, Don received his Associates Degree in Photography from Colorado Mountain College-Glenwood Springs in 1975, Bachelor of Photographic Arts and Science Degree from Rochester Institute of Technology in 1978 and Master of Architecture degree from the University of Texas at Austin in 1987. 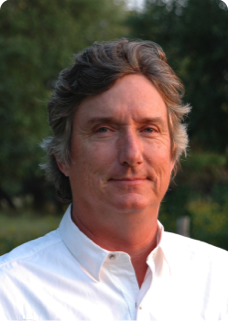 In 1999 Don and his wife, Debbie, moved to their ranch near Tarpley, TX and began managing with holistic fundamentals. They raise Texas Longhorn cattle. Don owns and operates Grassfed Livestock Alliance, LLC (GLA), a Grassfed producers group. GLA was formed in 2006 to provide a fair and sustainable market for family farms and ranches that put their care, labor and reputation into the quality of meats they raise. GLA supplies local Grassfed beef to a large retailer in Texas, Louisiana, Arkansas and Oklahoma. Don has done extensive research on sustainable grass-based beef production and in developing an annual forage cycle for Grassfed cattle. He is the Vice-President of American Grassfed Association (AGA), a national advocate for Grassfed producers, and chairs AGA's Grassfed certification committee. Don is past President (2001-2005) and Director Emeritus of the Cattlemen's Texas Longhorn Registry, a non-profit organization devoted to preserving genetically pure and historically correct Texas Longhorn cattle. 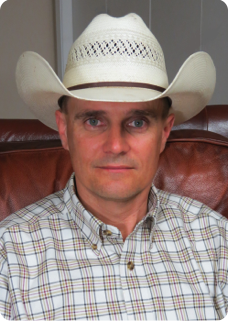 He was active in the formation of Cattlemen's Texas Longhorn Beef Cooperative (1998-2002) serving as a director and participated in the Co-op's marketing and feasibility studies, feed trials, and carcass evaluation studies. In 2005 Don was instrumental in organizing the Cattlemen's Texas Longhorn Conservancy, a 501(c)3 charitable organization devoted to preservation of the Texas Longhorn through education and scientific research. This organization's projects include contribution to ongoing research into Iberian genetics conducted in Spain and South America; partnered with Geneticists at The University of Texas on a project to build a DNA database that genetically defines the Texas Longhorn; is creating a PBS quality documentary on the vanishing Longhorn ranching families and their way of life, and created Texas history and science curricula for middle and high school students. After earning a Bachelor of Fine Arts Degree from the University of Texas at Austin in 1983 Debbie continued her education with undergraduate courses in Animal Science at South West Texas State University. Debbie began raising Texas Longhorn cattle in 1991 and manages a Grassfed Texas Longhorn beef marketing company, Bandera Grassland.™ She studied Homeopathy under the direction of Glenn Dupree, DVM and Herbology under the direction of Sam Coffman. Debbie was introduced to Holistic Management in 1999. Discovering their holistic goal helped the Davises to manage their resources to benefit the soil and systems within their influence, working with nature to realize desired outcomes and furthering their understanding of the holistic axiom. Debbie served on the HMI-Texas Board from 2005 through 2009. Three Holistic Management field days were hosted at the Tarpley ranch in 2001, 2006 and 2015 in effort to share knowledge that can help to create a healthier community. The Davises also opened their Austin property to a Savory grazing planning clinic in conjunction with the Livestock Conservancy conference in November of 2014. Debbie has been active with various sustainable agricultural organizations including Texas Organic Farmers and Gardeners Association, Winter Garden Sustainable Coalition, and has served on the board of Farm and Ranch Freedom Alliance since its inception in 2006. Debbie and Don were Texas' first Conservation Security Program Partners in 2004, a USDA-Natural Resource and Conservation Service program that promotes conservation of natural resources on private lands. Debbie is a past president (2005-2008) and registrar (2001 to present) of the Cattlemen's Texas Longhorn Registry. Before moving from Austin, Debbie rehabilitated injured and orphaned wild animals with Wildlife Rescue, was Chairman of Artist Reservations with the Women's Art Guild of Laguna Gloria Museum and a docent with area museums and the Austin Nature & Science Center. She received docent training from the Elisabeth Ney Museum, Laguna Gloria Art Museum and the Harry Ransom Center at the University of Texas in Austin, and Texas Forums moderator training at the LBJ Presidential Library and Museum. Full time mother of four daughters, full time homesteader, part time ranch hand, and part time nutrition associate, Rhona grew up in a farming and ranching family in the south Texas town of Floresville. From an early age she assisted with day to day care of the cattle and horses on the farm. 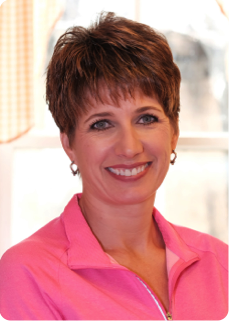 Rhona left the farm after high school and moved to San Antonio to pursue a career in residential property management. At that time everyone told her “you can't make a living in agriculture” and like many farm children of that era, she believed them. After a few years living the city life, she still yearned for a more agrarian lifestyle for herself and her family. In 2004 she moved with her husband Chad to the family ranch in Mason, Texas. Rhona built a large garden and a small orchard of fruit trees that are managed using only biological and organic amendments. Each season after harvest she preserves and dehydrates. She works with other growers in the area exchanging ideas, processes, seeds, and techniques to better enhance the foods produced in the area. She has a small scale pasture chicken operation and recently introduced pigs to the homestead. She makes cheese using milk from a local Grassfed dairy. Rhona loves to cook locally raised and sourced foods for family and friends. Along with taking care of the sheep and goats for the operation, she also handles marketing, sales and customer service for the retail sales of McCollum-Lemke Ranches. As with most members of a ranching family she wears many hats. While building the homestead and revitalizing the worn out farming ground to grow better food, she began to explore and study natural health and nutrition. She continues to expand her knowledge and understanding by attending training seminars, working with local producers and naturopathic professionals in the area and experimenting with homeopathic approaches to the problems encountered with plants and animals on the farm. 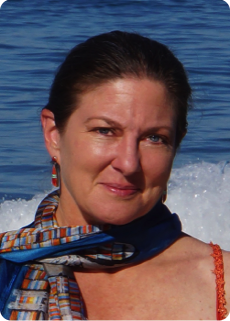 In 2013, a growing and expanding nutritionist and naturopathic doctor in Mason asked Rhona to come on board and work with customers on improving their understanding of supplementation, minerals and health. She assists these clients with their nutritional consultations and plans including diet, vitamins and mineral supplementation. She also handles purchasing and marketing for the local store and website business. Fifth generation farmer and rancher in Central Texas, Chad is also the Production Manager for the Grassfed Livestock Alliance, LLC, helping to manage the day-to-day operations of the group and assisting its members in producing top quality American Grassfed beef. He is on the board of directors of the American Grassfed Association. Chad spent 20 years in the commercial nursery and landscape industry in San Antonio. He has significant experience in greenhouse management and growing, landscape design and construction, turf management, irrigation, and arboriculture. He spent these years experimenting with biological, organic and other soil amendments to enhance and improve the landscapes of shopping centers, office/retail centers, industrial complexes and sports fields that were under his care. In 2004, he realized that the city had grown too large for the quality of life he and his family desired, so the family left San Antonio and moved to the family ranch near Mason, TX. After the move, he spent several years rebuilding crumbling infrastructures, clearing brush, renovating fields and upgrading animal genetics on the lands. When asked about the transition, Chad says simply that he used to grow grass to cut with machines and now he grows grass to harvest with animals. McCollum-Lemke Ranches is now a multispecies operation humanely raising Grassfed cattle, sheep, goats, pigs and chickens. In 2012, the operation was awarded the Outstanding Conservation Rancher Award by NRCS. They are constantly experimenting and looking for better ways to raise animals and improve the land without the use of traditional chemicals and fertilizers through the use of mob grazing, biologicals, compost teas, cover crops, no-tilling and many other alternative methods of agriculture. His goal is to continually improve his land, his livestock and his family's way of life. He strives to be more than sustainable in his operation; he strives to be regenerative. In his spare time, Chad is also President of the Mason Independent School District Scholarship Foundation, President of Hext Volunteer Fire Department, Vice President of Texas Hill Country Heritage Association and a member of various other community and civic organizations in and around Mason County.